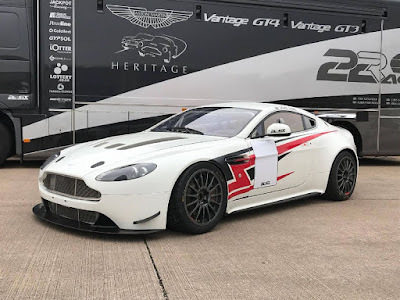 Home > 22GT Racing, Aston Martin Racing, Aston Martin Racing Festival, For Sale, Le Mans, RL, Vantage GT4 > Watch it at Le Mans and drive home away afterwards! Watch it at Le Mans and drive home away afterwards! On the subject of the Aston Martin Racing Festival from Le Mans next month, hows about chipping into to purchasing this fully rebuilt AMR V8 Vantage GT4 having watched its current owner race it at the Circuit de La Sarthe. Fully rebuilt to zero miles ready for the 2018 calendar, this 22GT Racing prepared is available to buy straight after the Festival event and the owner invites you down to Le Mans to watch it with a full AMR Hospitality package thrown in to boot!